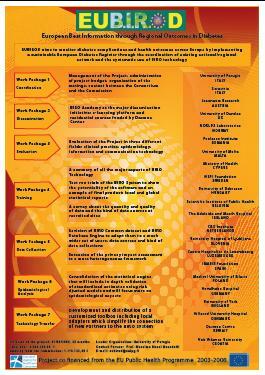 A book summarizing all the results achieved within BIRO Project and currently adopted in EUBIROD Project. Cunningham SG, Carinci F, Brillante M, Leese GP, McAlpine RR, Azzopardi J, Beck P, Bratina N, Boucquet V, Doggen K, Jarosz-Chobot PK, Jecht M, Lindblad U, Moulton T, Metelko Ž, Nagy A, Olympios G, Pruna S, Skeie S, Storms F, Di Iorio CT and Massi Benedetti M, Defining a European diabetes data dictionary for clinical audit and healthcare delivery: core standards of the EUBIROD project, In press, Methods of Information in Medicine, 2015. C.T.Di Iorio, F.Carinci, M.Brillante, J.Azzopardi, P.Beck, N.Bratina, S.G.Cunningham, C.De Beaufort, N.Debacker, P.Jarosz-Chobot, M.Jecht, U.Lindblad, T.Moulton, Ž.Metelko, A.Nagy, G.Olympios, S.Pruna, M.Røder, S.Skeie, F.Storms, and M.Massi Benedetti, Cross-border flow of health information: is “privacy by design” enough? 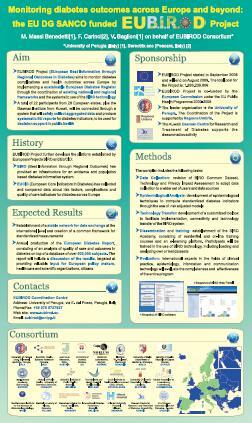 Privacy performance assessment in EUBIROD, European Journal of Public Health, 2013 Apr;23(2):247-53. CONGRESUL ANUAL AL ASOCIAŢIEI MEDICALE ROMÂNE, REVISTA MEDICALÅ ROMÂNÅ – VOLUMUL LIX, NR. 2, An 2012. EUPHA Conference 2010, Amsterdam, Netherlands, 12th November 2010. 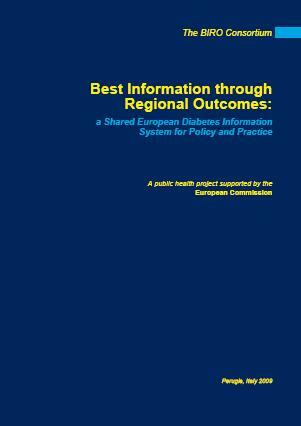 Towards a European Diabetes Information System: from St.Vincent Declaration to EUDIP, EUCID, BIRO and EUBIROD. Are we getting closer? Academy Health Research Meeting 2010, Boston, Massachusetts, USA, June 2010. European Working Conference on Health Services Research, The Hague, Netherlands, April 2010. 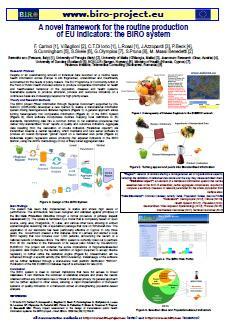 "Italian team at Dasman Center for the research on Diabetes"
BIRO: Better data on diabetes? "Dasman Center offers access to diabetic data"
"Alarming jump in GCC diabetes cases focus of debate at confab"
"Number of patients on the increase Mideast 'hottest zone' for diabetes"